Donald Trump is to entertain Chinese President Xi Jinping at his unofficial residence of Mar-a-Lago, Palm Beach. It is a world where Trump feels more comfortable, here the two men will attempt to develop a relationship with wide ranging consequences. Top of the list is North Korea and its repeated missile tests. Pyongyang has recently fired off another ballistic missile, following on from September’s nuclear test. The international community retaliated with yet more sanctions. Trump wants the Chinese to do more to rein in the Kim Jong-Un regime. Washington wants Beijing to implement UN sanctions. However, the Chinese say that would devastate the North Korean economy and the population, as 90 percent of North Korea’s exports go to China. Beijing says it has stopped coal imports, the main source of foreign exchange for Pyongyang. China is unhappy about the deployment of the THAAD anti-missile shield in South Korea. The Chinese see it as a threat in its own backyard. The US believes the system will discourage North Korea from attacking its neighbour. China lays claim to almost all the South China Sea. Beijing is at work enlarging islands, some of which could host armaments. The Trump administration has yet to determine a policy on this. Obama deployed warships and aircraft to monitor the situation. 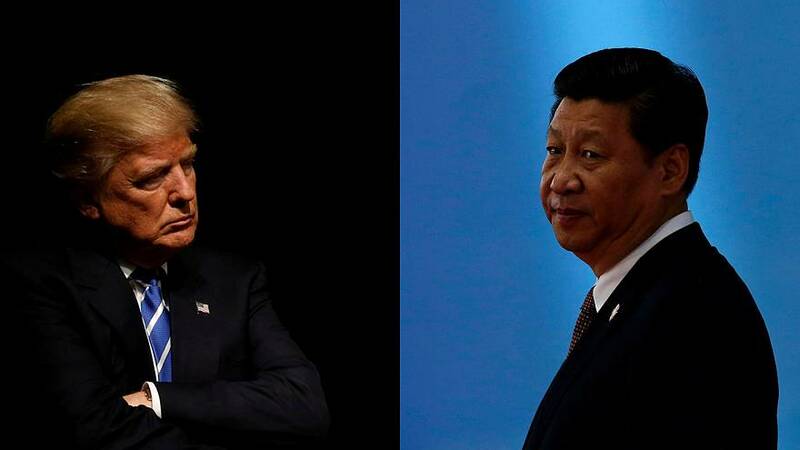 Trade is trouble for Trump and during his campaign he slammed China for its currency manipulation to favour exports and threatened to slap massive tariffs on China if the US fails to get adequate access to the Chinese market. The US has a $347 bn trade deficit with China, a major problem, and the Bank of China has spent $1tn to prop up the yuan over the past two years.